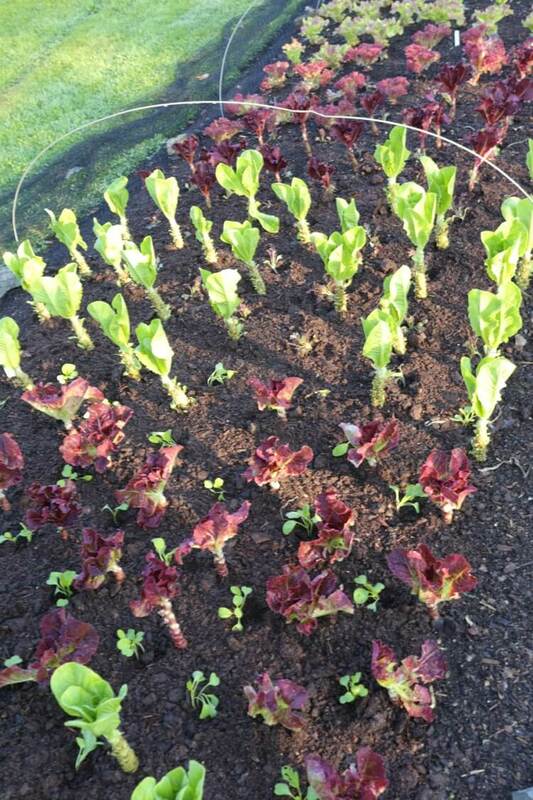 If you have not already sown salads for cropping undercover through winter and into spring, NOW is the moment. So they have time to establish before winter, make decent roots then crop in cool weather. 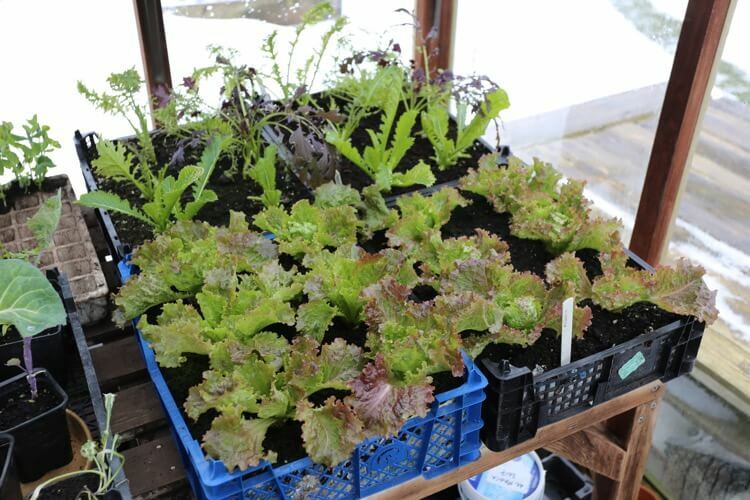 If you have only a cold frame or greenhouse staging, grow some in boxes. I line mushroom boxes with newspaper, fill & pack firm with multipurpose compost, then either sow now or plant October from module sowings now. 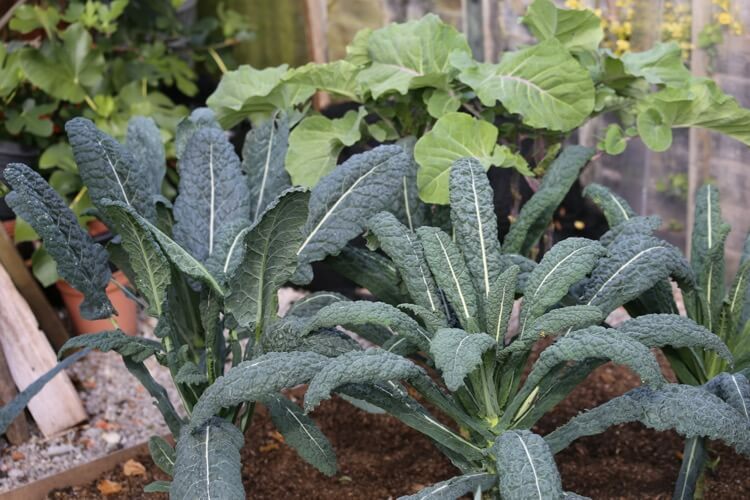 The weather is dry again and we have been watering salads, celeriac, new plantings, kale and even Brussels sprouts. I hope it rains soon but the sunshine and warmth are lovely. We had one night of 3.5C/38F and just avoided a ground frost: mid-September often sees one cold night! Then no more until mid-October. Days currently average 18-20C/64-68F and nights are around 10C/50F. 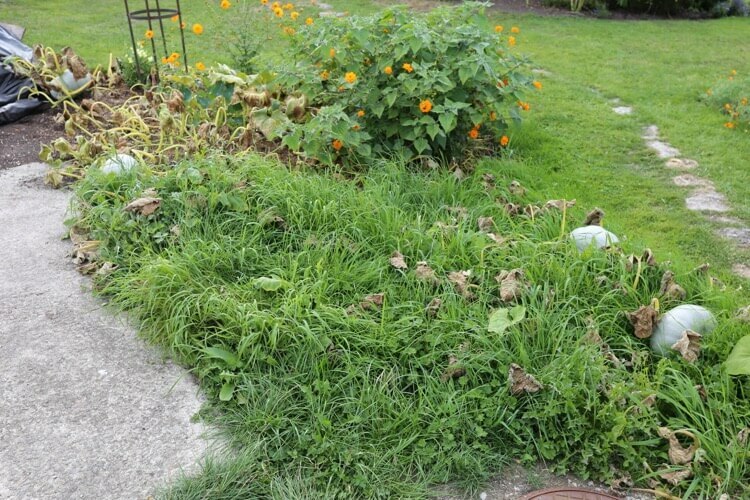 In late summer I have plants needing to go in, and no empty space. 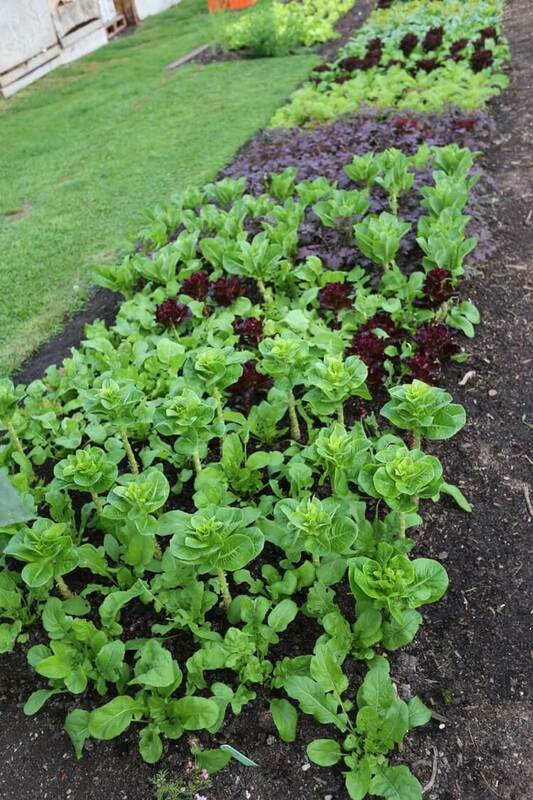 On 25th August I planted two-week old seedlings of spinach, mustards and salad rocket between lettuce that we have continued to crop. See how happy they look. Interplant = companion plant. See the growth of Medania spinach, this is the variety you want. I tied some Merlo Nero from Seeds of Italy = waste of time, they flowered already, really poor. 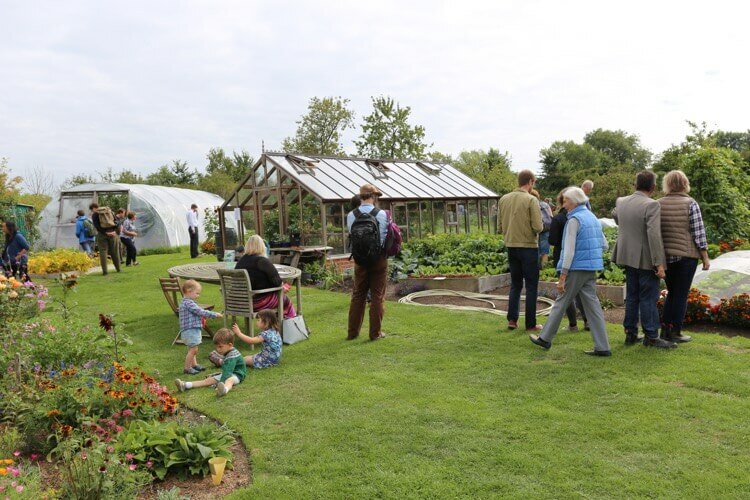 The huge interest in my garden and no dig resulted in a thousand or so people in the garden on 2nd September on a gorgeous late summer day. I loved meeting so many of you and Steph did us proud with an amazing array of cakes. Courses here are popular as ever. I put on an extra on September 29th, it still has 6 places. 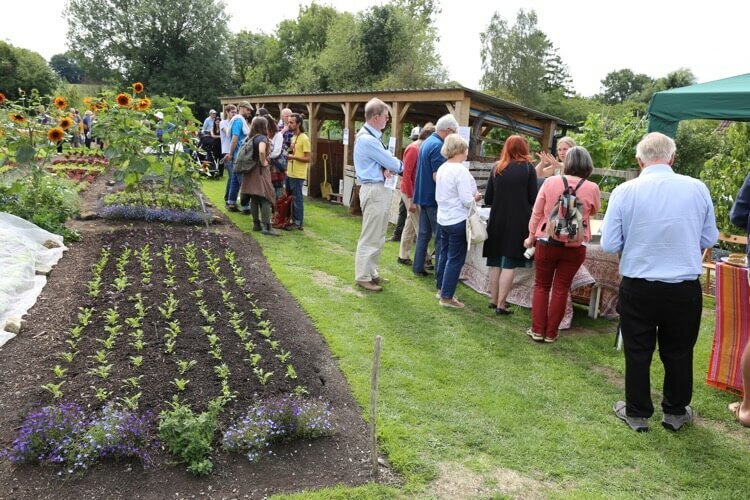 Also, I am giving a course near Banbury on 19th September. 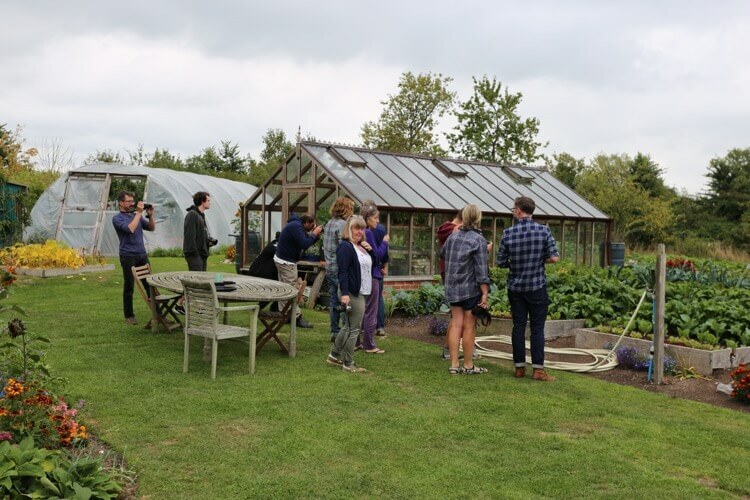 We had the pleasure of hosting a photography course here, run by the excellent Jason Ingram and organised by Steph, whose new recipe book appears soon..
Thee trial beds continue to amaze me, especially how poor the dig bed is inters of water not soaking in, and root harvests. Just look at the difference in carrots. 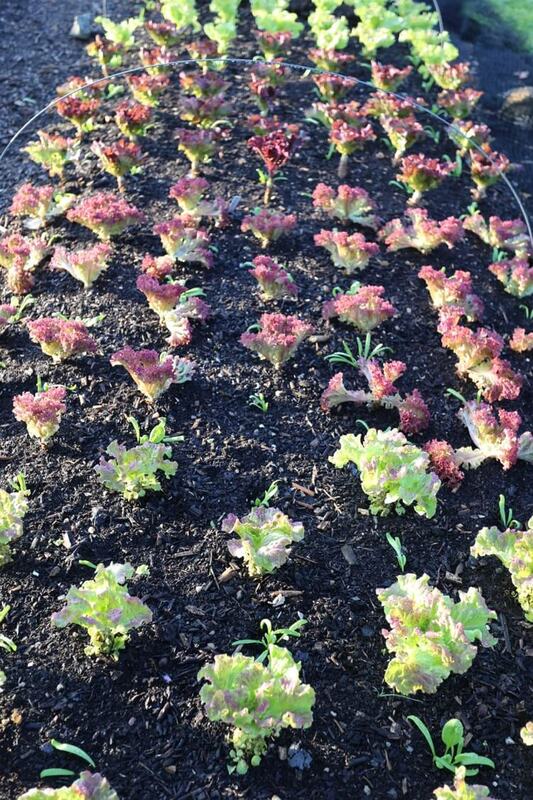 They were sown between lettuce in soil that was dug last December. 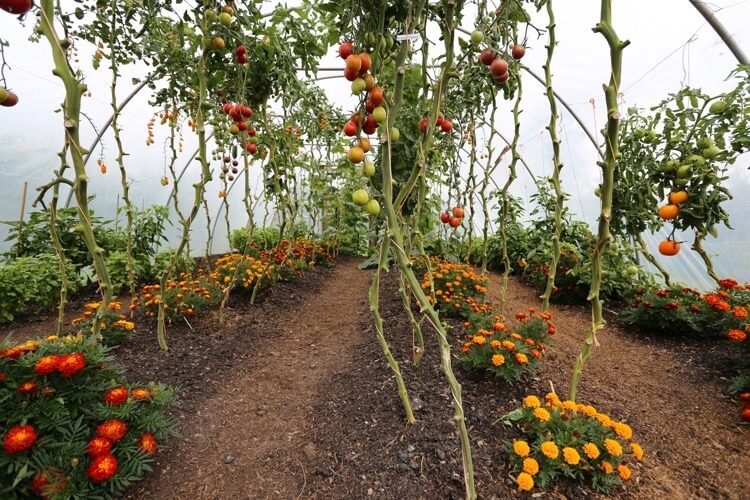 The no dig bed has never been dug or loosened in any way. I love this season of abundance. 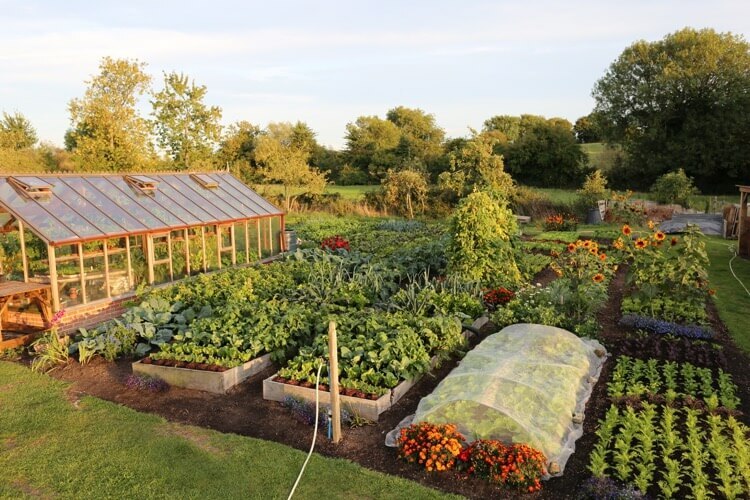 On 10th September we picked and gathered Homeacres harvests together and Josh laid them out nicely. 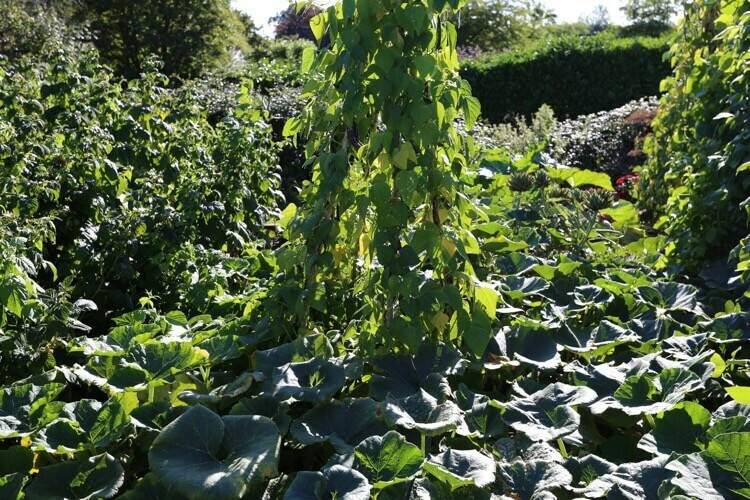 Currently the most abundant crop is French beans from June sowings of dwarf plants, quite amazing. This project to crop an area of 25m2/270ft2 has been fascinating. 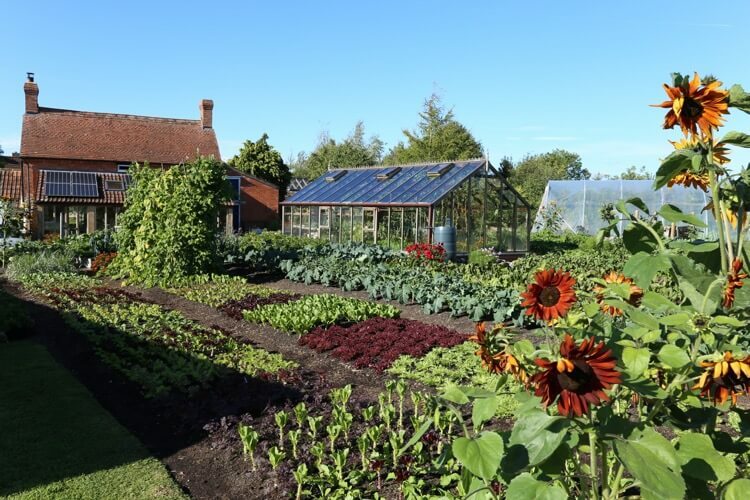 Harvests are varied, plentiful and regular: currently beans, tomatoes, peppers, beetroot, coriander, lettuce, kale and leeks. See more in the video. No rush to harvest these. Nor to prop fruits on stones or blocks of wood. Just wait until leaves have died off, the mildew helps this. 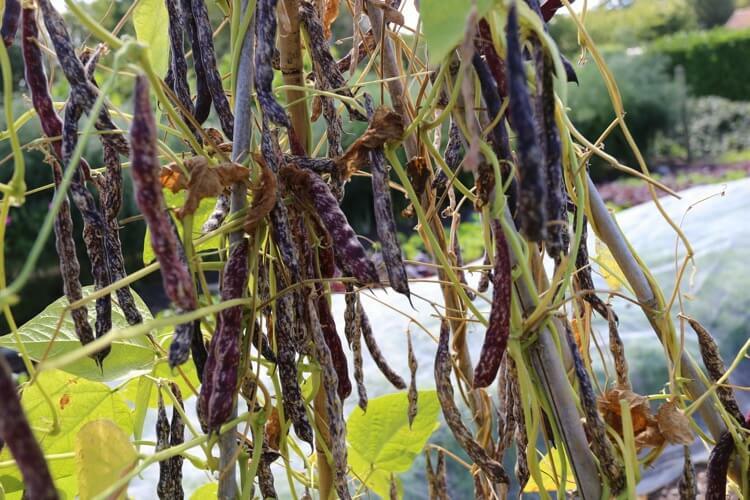 These are coming good to pick as pods dry, especially the runner beans which can go a little mouldy if pods get wet after they have dried. Whereas Borlottis stand well, we often pick them all in one go, in October. 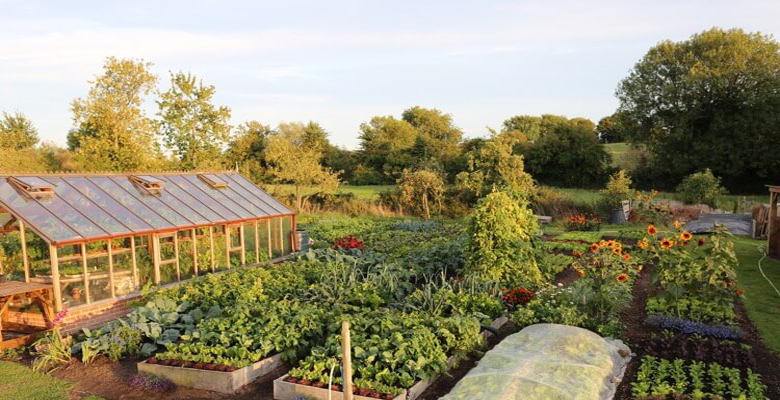 Stunning photos of Homeacres at this time of year. The top right photo of the tomatoes. Are the cherry tomatoes? and how wide are the beds and the spacing. It looks so healthy and tidy. Great work. Thankyou, and yes cherry tomatoes, plus beef toms to right. Beds 4ft/1.2m and paths 14in/35cm. Thanks Jane, that is nice to hear. The Grenoble is more winter hardy than cos however, fingers crossed. Which seed company sold you the non germinating seed? It’s frustrating that I hear a lot of it happening. Just to let you know that Franchi have confirmed fresh seeds are in the post 🙂 Worth contacting them, Charles. Amazing how much produce you get from the small garden plot. 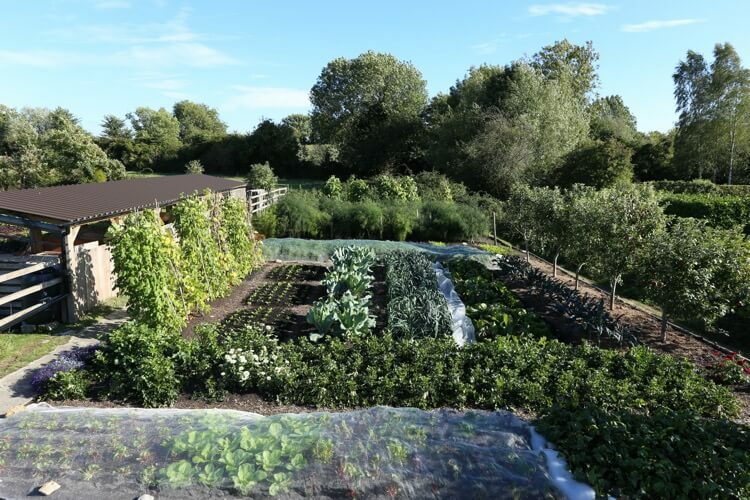 I would be very interested to see a garden plan showing how much space is given to the various crops as I have only 15m2 of space spread over 3 deep beds of 12 metres width. I don’t plan Jacqui, just plant in blocks and the photos show how big an area is given to each block, roughly. I shall be releasing some drone shots soon which also show that. 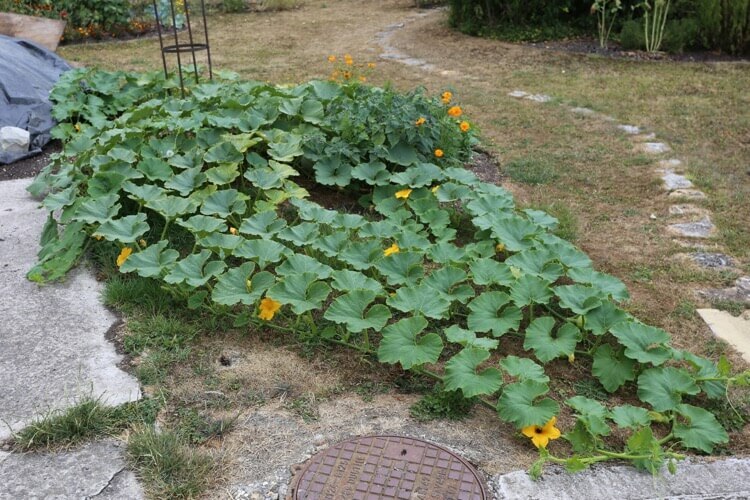 It is possible as a reasonably competent gardener to harvest around 200lb from 15sqm if you follow Charles’ no dig methods – I am sure he is capable of quite a lot more! I have tried using square foot gardening style blocs this spring for spring onions, little gem lettuces, radish, which worked very well. 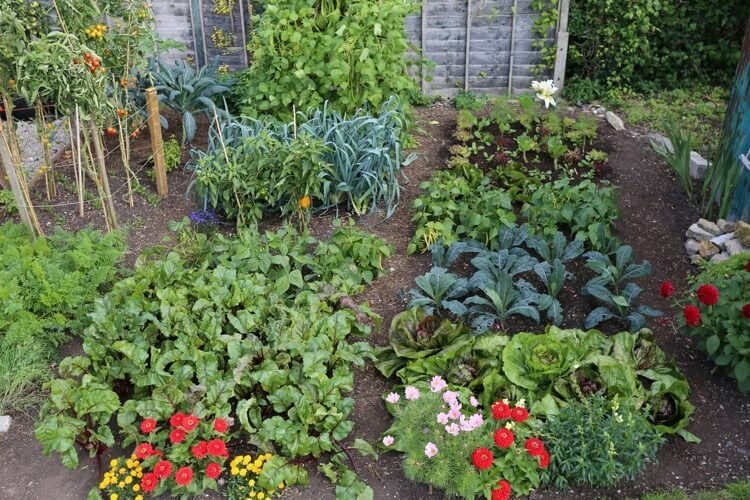 If you have a 1.2m width of bed, 40cm*40cm blocs will give you spring onions, lettuce and radish for a fortnight. 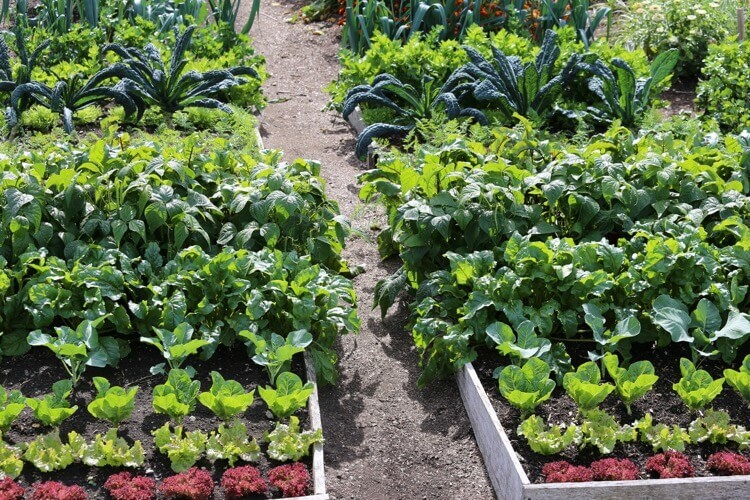 If you plant blocks in succession, you can have salad for six weeks from mid May to June 30th from 1.5 square metres. 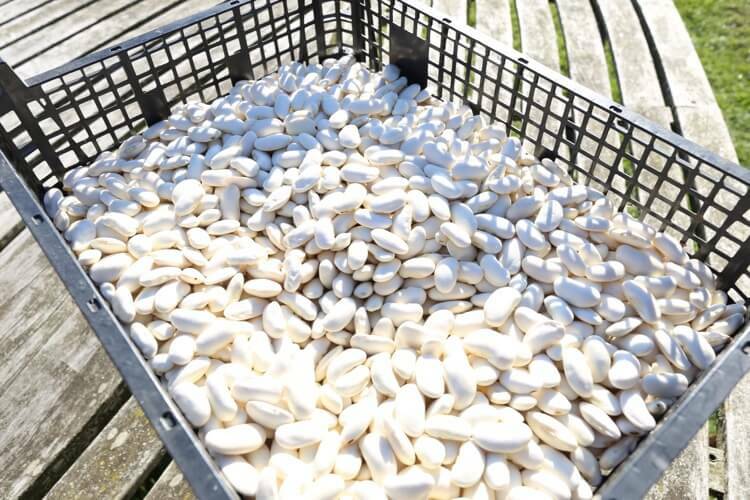 Then you can plant dwarf bean modules to give you regular harvests from mid July to mid September and follow that with winter radish, endive and chicory for autumn and winter food. 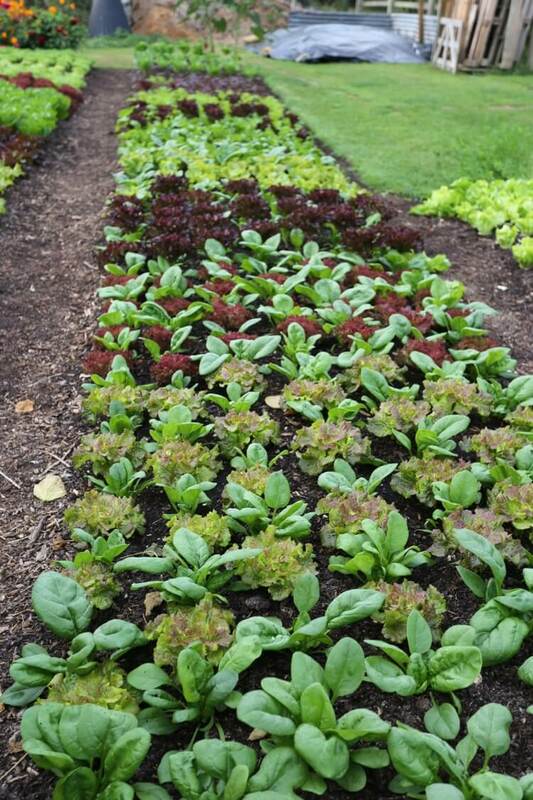 For a family of four, eight lettuce for Pick and Come Again is enough, using 0.72 square metres. 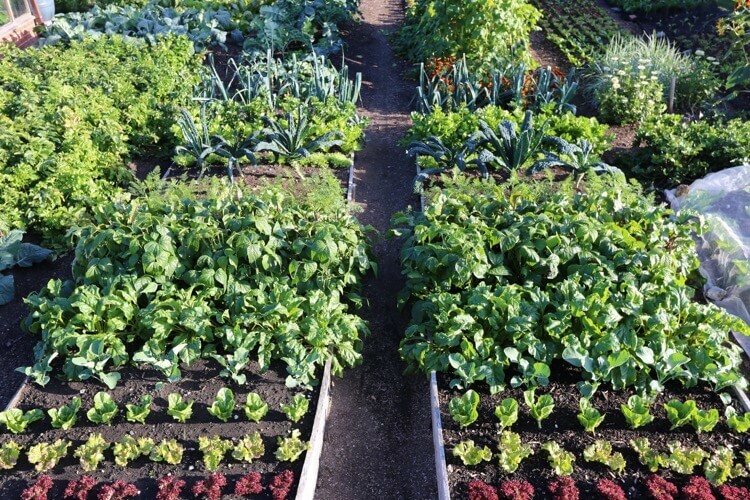 If you assign 1.5 square metres, your two crops will give you leaves from mid to late May until October and you can plant fennel after the early sowing and spring spinach before the late sowing. 1.5 square metres will give enough parsnip for three months in winter, ditto for winter carrots. Four rows of 1.2 metres with 30cm between. Both do very well with almost no watering after establishment. 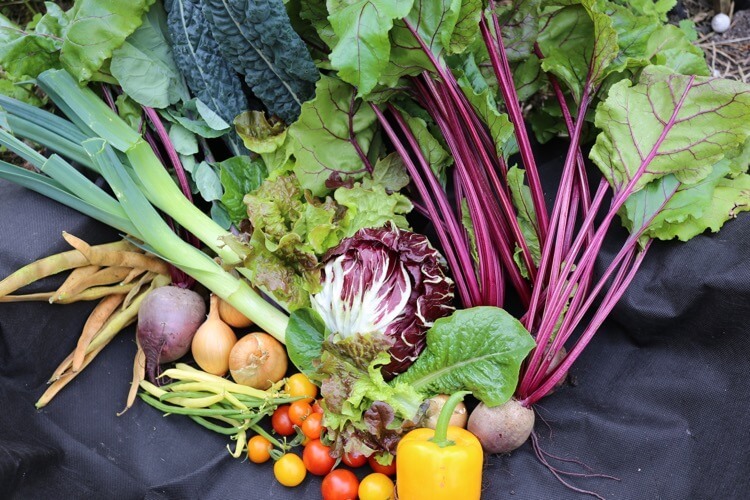 1.5 square metres will give you fresh beetroot from early to mid June until mid October. 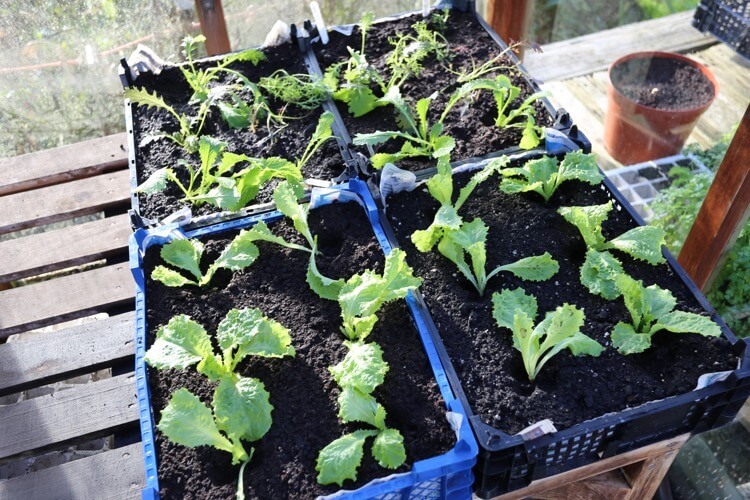 Two sowings allowing cavalo nero after early sowing and overwintered cabbage can precede the later sowing. 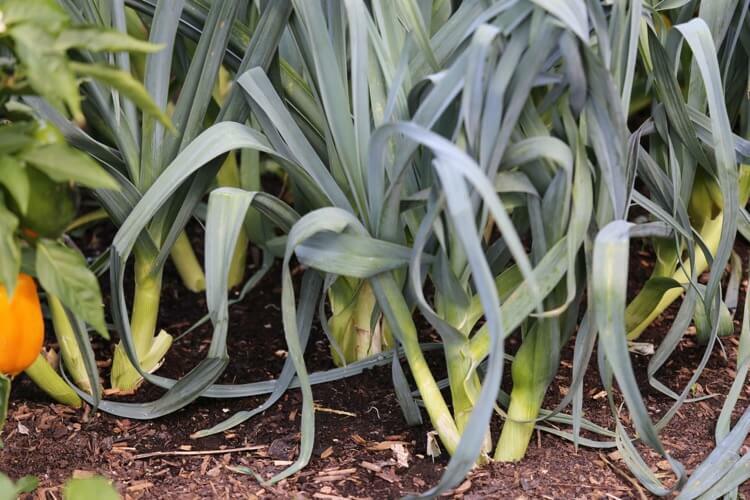 1.5 square metres will give you around 50-75 Zeebrune shallots by mid August, after which you can plant out winter radish, autumn spinach, rocket etc. Ultimately what you plant depends on your personal taste. But soups are a marvellous way of using up the excess. This update has just answered my previous question about butternut squash, will read better in future! 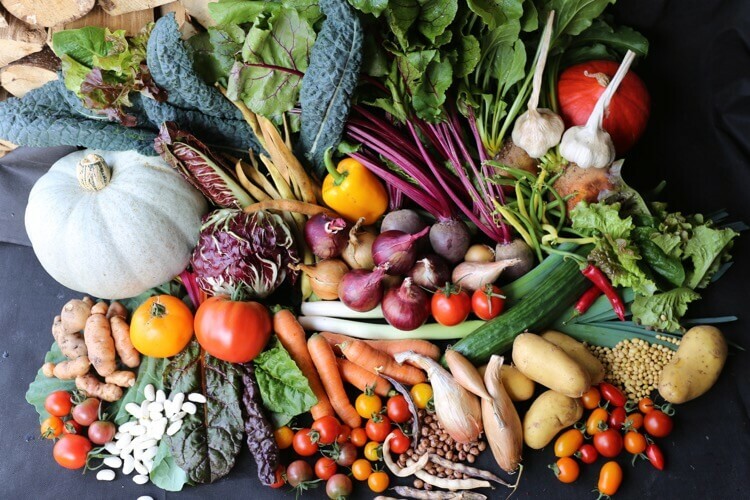 Amazing harvest! It happened that our local nursery was selling cell trays of spring onions at a bargain price. I bought a few hoping that I can overwinter them until the bulbs are bigger. At the moment the bulbs are small (the size of small onion sets) and foliage is quite manky. Charles, in your experience is it possible to get any meaningful growth out of already grown spring onions? Can they form any bigger bulbs? Will they not harbour mildew if I overwinter them? Thanks for your time. 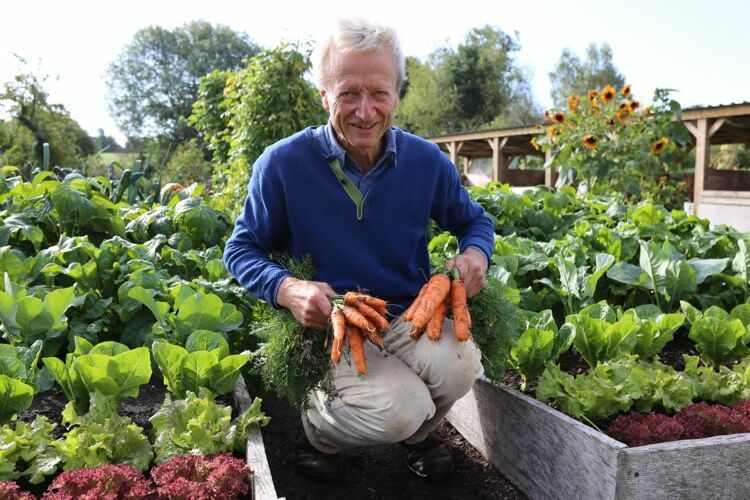 I hope you will write a book on the subject of no dig method in small gardens ( I already see you are conducting experiments on this). Some bargains are perhaps not bargains, this sounds like they sold you small onions and you don’t know the sowing date. For them to work as ‘sets’ they need to have been sown August, to make small onions you plant in spring. 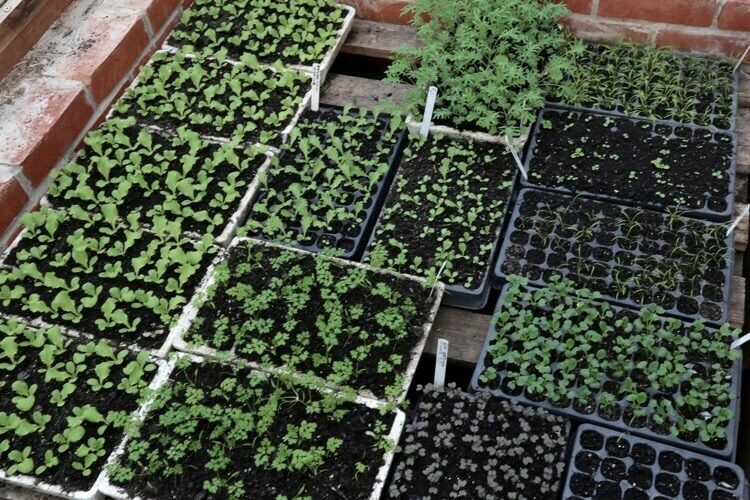 Or plant them now, for earlier leaf growth to harvest in spring. And yes they may harbour mildew over winter. For now I have no time for a book as we are creating an online course, and small garden info will be part of it. Release date late winter abw.